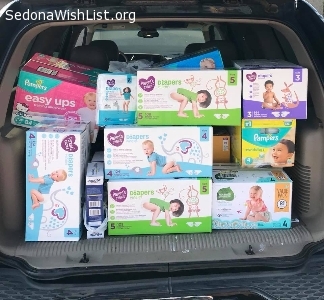 A big thank you to the Sedona Wish List! We are happy to say we received responses to our request for Bike Helmets and our clients will be riding safely around town in the near future! Thank you! Dear ASU: Thank you so much for loaning us the 4 chairs we needed for our production. We couldn't do the work we do without the generous help of our community. They're perfect! We deeply appreciate it. Phase I of the e-Library has Books! Bwindi Community Program wired funds to Uganda to purchase enough books to open Phase I of the e-Library when the students return on February 4th. We thank everyone who helped with this project and share the joy in being able to open the doors to a stocked library. The computers are installed, the books for Phase I are on the shelves. Please contact Jan or Jim Tanis at 928-204-1135 about how to help provide the remaining books on the list. You can make a difference in so many lives. Two volunteers have stepped up to do the reference assistant positions at the Library. 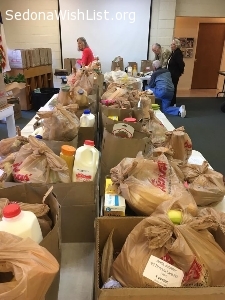 Thank you to everyone who pitched in to support our clients this past holiday season. Because of your donations we were able to make the holidays brighter for 153 individuals! Over 65 children impacted by domestic violence received a gift from the Verde Valley Sanctuary! Thank you one and all for your continued support. We wish you a healthy and a happy new year! Thank you to all the generous donors who contributed to our year end fundraising campaign! You have enabled us to continue to bring 450 books a month to children in need in the area. 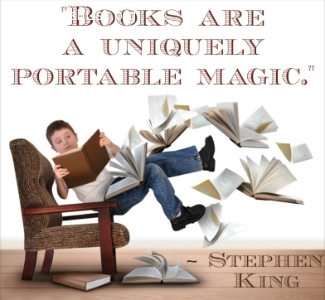 Turning young children onto books can change their lives! Thank you so much to all those who responded to our year-end Double Your Impact Fundraiser! Your generosity has enabled Verde Valley First Books to continue to distribute over 450 books each month to area children in need. 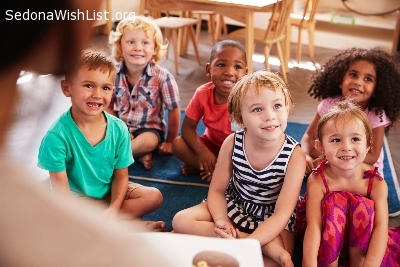 Encouraging reading in young children can change their lives. Thank you! Next week one of the Library current volunteers will begin training as a magazine assistant. A huge thank you to everyone who donated to our emergency diaper drive. The response has been amazing. We still need diapers and wipes as we go through them so fast. We are in need of sizes 3 & 4. 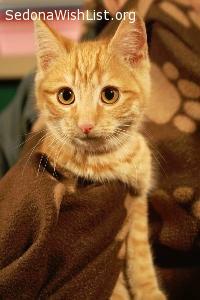 The shelter is still full, thank you for your continued kindness and generosity! 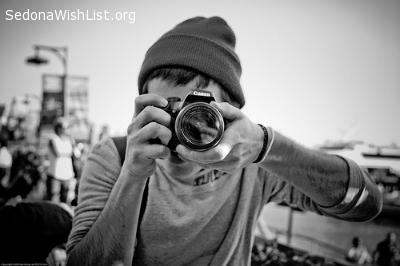 Verde Valley First Books has received many new volunteers as a result of the Wish List. We will be able to start our program in area schools and daycare facilities on schedule! Every month we read to and distribute books to 4 year-olds from low income homes. Thank you for helping our community! A man called in wanted to donate several puzzles to the reference desk. We are very grateful for his donation and the patrons will enjoy putting them together. VVHS wants to thank the generous donor who donated a baby scale! It will come in so handy for weighing our little kittens. We are so grateful. Thank you to all who helped Bwindi Community Program (BCP) achieve its goals in the recent Fundraiser on Global Giving. The proceeds from the fundraiser along with a grant from Loyola Foundation and funds raised directly by BCP have put us in the terrific position of being able to begin construction. The Library will host the 610 students on campus and the local community soon. 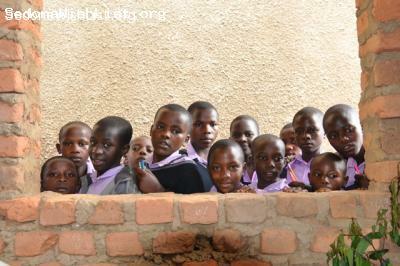 Education in rural SW Uganda just made a giant leap forward with the help of Sedona residents! Thanks to many generous donors, 21 mothers receiving services from the Verde Valley Sanctuary, were treated to a very special Mother's Day! 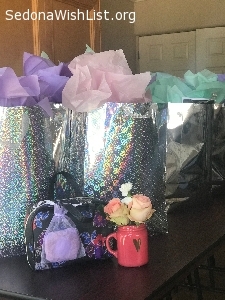 Each mother was presented with a fresh flower arrangement and gift bags filled with fully stocked cosmetic bags, cozy socks and afghans and a lovely piece of jewelry. They completed their special day with a fully catered dinner and chocolate covered strawberries. Many of the mother's had never received such a heartfelt showing of support! THANK YOU! It is always nice when wishes are granted. The Emerson Theater Collaborative wish to thank all those who help us find a musical director for our summer youth theater program. 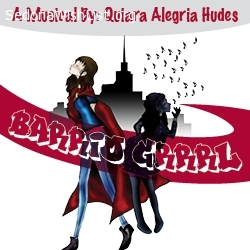 Our summer production will be Barrio Grrrl by Quiara Alegria Hudes. The production is made possible by AZ Humanities. The universe is amazing! 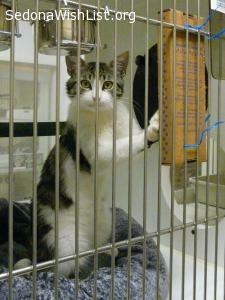 Thank you so much to donor who gave Verde Valley Humane Society a laptop. It is so appreciated and will be put to good use for our amazing volunteers. On behalf of our clients we would like to thank members of the Community who have generously donated to the Verde Valley Sanctuary this past winter. Thanks to your generosity we were able to provide our clients with gift certificates for haircuts, bus passes, new toiletries and clothing, and the feeling of reassurance that they are not alone and there are people who care and are available to help. Thank you for generously providing Science Lab Workbooks for students in Uganda. These are fundamental books that US students take for granted; a truly appreciated addition to the resources of the Ugandan secondary students. The sponsored students will all be smiling when these books are distributed in two weeks. The feeling of support from the US is a strong link to a bigger, caring world. Thank you, Sedona. The Emerson Theater Collaborative would like to say thank you to Barbara Vickers for the speaking platform that we received. We deeply appreciate her! It’s community members like her that make that make our community a great place to live, work and be. Thank you to everyone who generously donated holiday gifts to our clients. The thoughtfulness of each donation was without precedent. Our current residents and families who have recently left the shelter, received bags of gifts carefully selected just for them. Thank you for making the holidays a little brighter for our clients. We truly appreciate the communities support. Through the wonderful generosity of the community, we have enough Science Lab Workbooks for the coming year. Thank you! 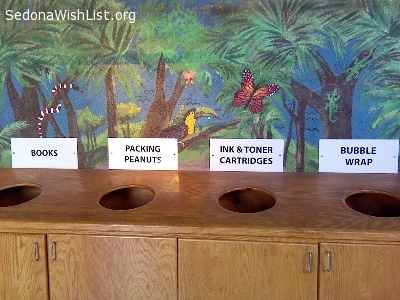 See all wishes from Sedona Recycles, Inc.
A heartfelt thank you to everyone who contributed to our 90 Gifts in 90 Days fundraiser. We hoped to raise 90 donations and we ended up with 133! Market prices for materials have been steadily dropping but thanks to the support of our wonderful community, we ended the year on a hopeful note. May your generosity be rewarded in all you do in this new year! Three big boxes of books were donated to Beaver Creek School's independent reading program, with great reviews from the kids. Thank you! Thanks for making our wish come true! Many thanks to a generous donor and to Sedona Wish list for helping facilitate the donation programmable coffee pot with a thermal carafe. This will make coffee ready and waiting for our very early morning meetings with volunteers who work, and allow us to keep coffee piping hot for our longer meetings with volunteers. A big thank you to those folks who volunteered to work in our warehouse on June 15, 2015 after our collection event! We are extremely grateful for the help! We now have the perfect flat screen TV to display information in the lobby. We are working on a series of informational videos, two are completed- keep an eye out! 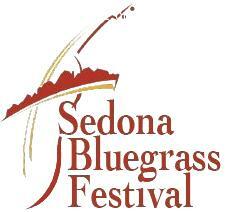 We had two generous offers for the flat screen- thank you Sedona! A big thank you to those folks who have donated backpacks for our Weekend Backpack for Kids program! We've received seven so far, but we can always use more to help as many kids as possible! Thank you again and keep those backpacks coming! A big thank you to our volunteer drivers who helped us bring in over 1,400 pounds of food equivalent to nearly 10,000 meals! Thank you so much to Rick, Sarah and Jim! Thank you so much to our two volunteer drivers who are delivering food from Cottonwood to Sedona! Between the two vehicles we should be able to bring nearly 20,000 meals for distribution in our community! 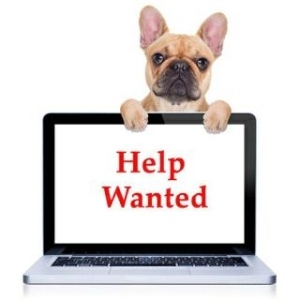 We are still looking for loading volunteers both in Cottonwood and Sedona who can lift a minimum of 33lbs repeatedly. 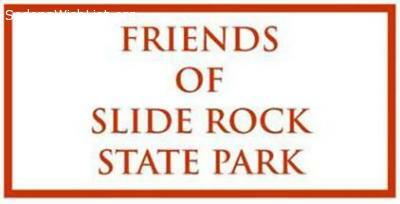 In Cottonwood on Friday February 27th from 9-9:15am and in Sedona on Friday February 27th at 9:40-10am in our office. If you are interested please call (928) 254-8172. Huge thanks to Pete Malmgren for his help dismantling the 20' Holiday Tree in Uptown on January 14. He was critical in getting the branches down from this monster of a tree, so the decorations could be removed and it could be boxed for storage, and with dismantling the 20' frame. He came with a smile and helped with everything needed from start to finish. It was such a blessing to have your help and great attitude with us, Pete. 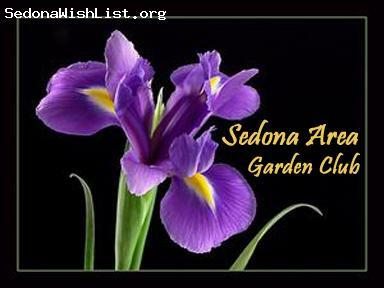 And thanks to Sedona Wish List for helping make it happen. We would like to thank Tony for his generous donation of a dolly. This donation was out of the kindness of his heart and will help us greatly to distribute food to local community members and emergency food providers in need! Thank you again Tony. We would like to thank our generous community member who gifted our office two wonderful filing cabinets! This donation will allow our office access to a larger number of our necessary files. Thank you again! We would like to give a big thanks for our new microwave, we were generously gifted a wonderful appliance. All of our volunteers, staff and board members look forward to our new ability to prepare an even greater variety of meals. Thank you very much! Thank you so much to a local friend who saw our need in the Red Rock News. She remembered a like-new Kitchen Aid mixer, still in the original box, that was in her storage. This mixer hasn't been used for years, but will now get used several times a week by our chef. He was so excited to receive this, as he has been hand-whipping his cream for various desserts. 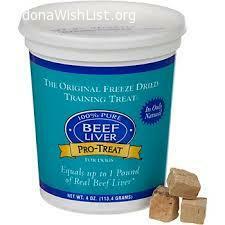 Today we are having fresh berry parfaits for dessert, and this gift will make his life so much easier. Sedona Pet Food Bank thanks PETSMART for placing a pet food donation barrel in their lobby. 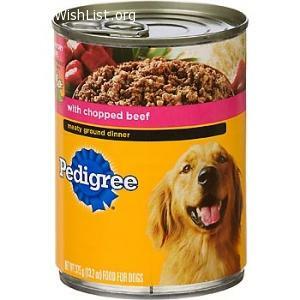 We know this added barrel will be full very often and appreciate the customers who remember our hungry pets who need food just like their human companions who are members of the Sedona Food Bank. Thank you for the influx of golf balls! I needed a few extra for our putting green, and now have enough to open our own store! 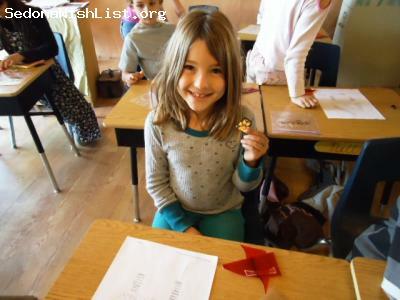 We will actually get to use some for craft projects, which will be very interesting and enjoyable for our participants. Thank you again! Thank you to a local resident who recently brought some muffin pans and baking goodies to us. 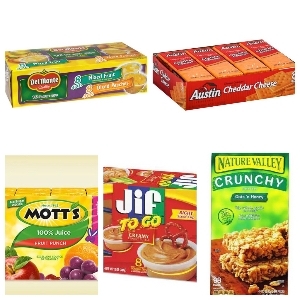 We can still use more supplies, including hot mitts, cupcake liners, cookie sheets, measuring cups/spoons, etc. 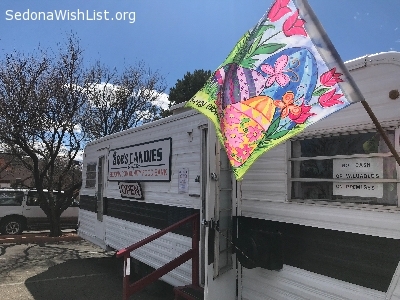 Thank you to a wonderful member of the community who saw our need, dug into the back of her closet, and found a karaoke machine and 7 CD's for us!! We are going to use it today with our participants and I anticipate lots of laughter and togetherness as we attempt to sing along to favorites across the ages. 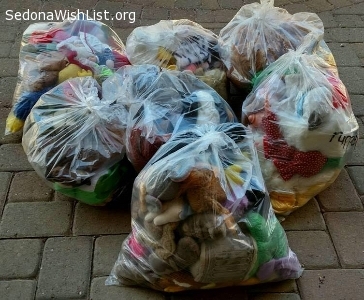 Thanks to Sedona Wish List for recently helping the Sedona YMCA. After reading our last request, a kind donor dropped of a good quantity of children's books. This is a really nice start and hope that others consider the same. 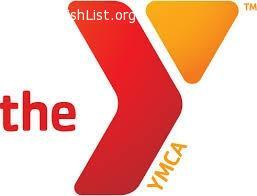 The Sedona YMCA still is in desperate need of children's books for ages 6-12 for the afterschool and camp programs. All of our current books have been read and re-read and we need new material. 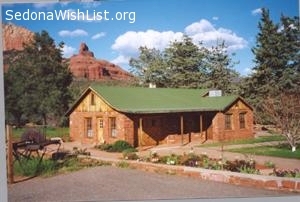 Sedona YMCA is thrilled to acknowledge a Sedona Wish List wish fulfilled! A hearty thank you to the donor who donated the requested vacuum cleaner that was so badly needed. This will be used to beautify and maintain the indoor carpets used by the afterschool program and Qi Gong. Sedona YMCA wishes to thank those community members that made the effort and took the time to deliver strings of Christmas lights and decorations for use at the City of Sedona's Tinsel Town. What a great way to start the Season! The Sedona YMCA is thrilled that three eager people stopped by on Wednesday to volunteer time towards the Tinsel Town project! While more volunteers are still needed, this is a wonderful way to start off the Season! Thank you to all who have helped us purchase blankets for Watoto Primary School. We are grateful for the kind people who funded desks, mosquito netting, and new beds for the boarding students. The year has been good to us and we hope to continue enhancing these children's lives in 2014. We end the year on a great note; having found sponsors for more than 100 children in Bwindi. Thank you!! Golden Bone received a generous donation of an all-in-one printer, complete with cartridges, for its new office space. The Scorpion Booster Club is delighted to have received a donated copier from Lisa Walls! This will come in handy for us to copy programs for the varsity sports teams and many other uses! Thank you for helping our mission! 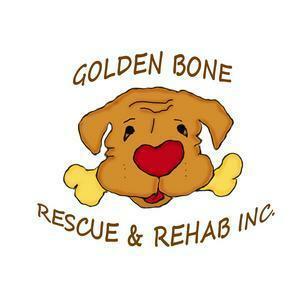 Golden Bone Rescue is grateful to have received a desk for their new office space. We wish to thank Bruce Tobias for donating a large selection of potted plants to the Sunrise Center. 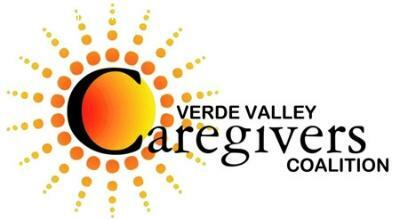 His kindness and generosity will add to the pleasant atmosphere at the only adult day care center in the Verde Valley. Golden Bone Rescue received two much-needed file cabinets for their new office space. Many thanks to a local artist (and newfound friend) who stopped in to donate a kitchen pot for the Sedona YMCA's use! She enjoyed touring the site and even gave a photography tutorial before she left! 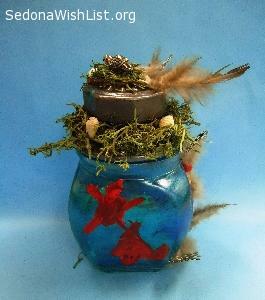 Art For Kids summer art camp "Under the Sea at MVP" wishes to thank those who donated beautiful shells that students used to create their Peace Under The Sea recycled jar art. Who knows maybe you will see one of the shells you donated on one of these gorgeous expressions of peace.! Golden Bone Rescue is ecstatic to be receiving a used vehicle which will allow us to transport our animals to vet appointments, foster homes, adoption events, and other necessary travel. 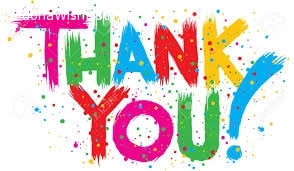 A heartfelt and huge thank you to Beth regarding her generous donation of a Xerox WorkCentre Pro 215 with copier stand and new toner cartridge to the Sedona YMCA. 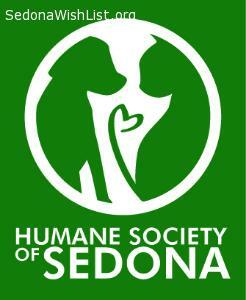 Another thanks to Sedona Wish List for making this happen! 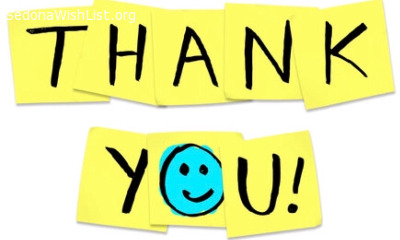 We would like to thank all the Volunteers who responded to our wish listing. We truly appreciate all their assistance at the 2 day event at Los Abrigados Resort & Spa. 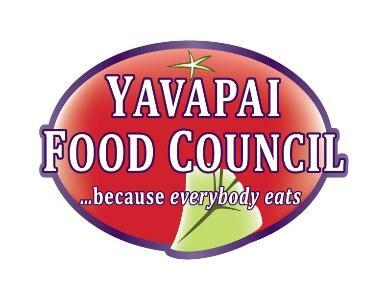 Thank you so much to all the Volunteers/ community members that donated their time in coordinating and delivered the freezer to the YMCA of Sedona! Thank you again to BMO Harris and Home Depot for supplying funding and delivery for the refridgeration units as well! 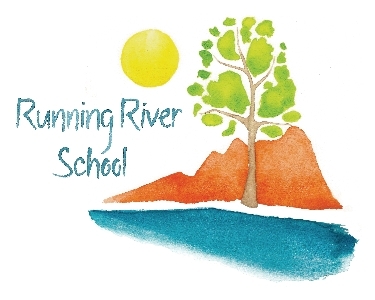 Thank you for Barbara Gordon for allowing us to use her expertise and for creating a wonderful new logo... coming soon! Thanks Again! 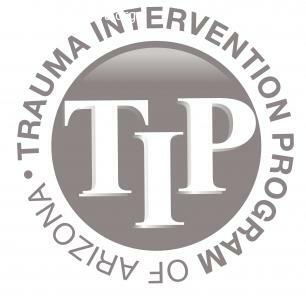 Trauma Intervention Programs of Arizona, Inc.
Verde Food Council is pleased to announce that volunteers from BMO Harris Bank have committed to deliver excess bread on a weekly basis from Sedona to Cottonwood food banks/pantries. Thank you!!! 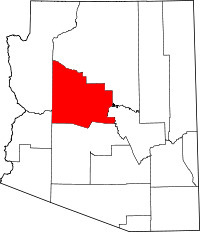 Additional delivery volunteers are needed for Camp Verde, Rimrock, Cornville and within Sedona/VOC. Thanks BMO Harris Bank & SedonaWish List for your support! Art For Kids is so grateful for the donation of beautiful flat files that now make storing the beautiful art of the 200+ students in grades 2-5 at Mountain View Preparatory at Tavasci. "Where teaching art is a work of heart." We thank the many generous people who donated a bunch of glue sticks to the Sunrise Center. 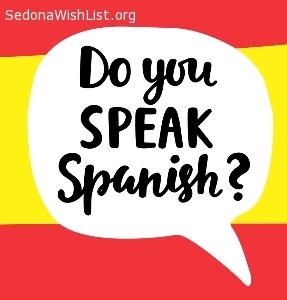 We hope you kept enough for yourselves so you can remain glued to the Wish List site and continue to support the many worthy organizations in Sedona. A big thank you to Robin Weigel who donated a bunch of paint canvasses on which our participants can demonstrate their creative artistic talents. Thank you to Janine Swent for donating a variety of art supplies for use by the participants of the Sunrise Center for Adults. Ho Ho Ho, Santa just delivered a gift to us. We have received the cordless screwdriver that we have been wishing for. Thank You to a friend of Canyon Moon who put this on their shopping list this holiday season. Art For Kids appreciates the donation of a color printer for our organization! Thank you very much. 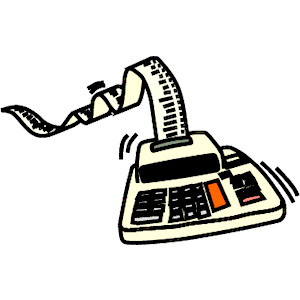 One day we hope to have a color lasar printer so we can print our own cards in a professional manner to help raise money for scholarships, so if you have one of those, or would like to donate to help us save money to buy one someday, we would appreciate the thoughfulness! Thank you Sedona and Sedona Wish List! 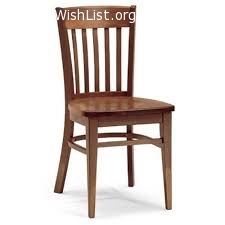 Thank you to all who have so generously donated to our campaign to provide desks for Bwindi Watoto Primary School in Uganda. We have ordered all 160 desks to be built. They will be in the classrooms when the students resume classes on February 4th, 2013. Picture the smiles when they return and find that each pair of students now has a desk with a bench! We are grateful to all who helped make this possible. Thank you to one of our volunteers who got tired of looking for the right tool to do a job here at the theater. We now have a complete set of adjustable wrenches, set of 7 new pliers and as a bonus, three new flashlights !! We are most appreciative for the walkers and wheelchairs which have been donated to the Sunrise Center for Adults. 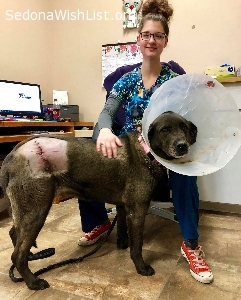 Wishes Fulfilled: Golden Bone Rescue and Rehab received a generous and much-appreciated donation to help with the blind shepherd mix pup's training. Art For Kids appreciates the donations from two community members for the bags of misc jewelry, watches, and metals for the steampunk art to be created soon! Also a local quilting group donated a few boxes of scrap material that will be fun to incorporate into collage or sculptural work and a local mosaic artist donated a box of fusible glass. 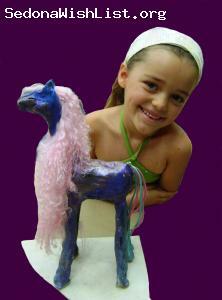 To view some of the art created by students, please visit www.artforkidssedona.com and click on the gallery. Art For Kids has received a variety of stamping and modeling supplies from a new Sedona resident as well as a generous private donation to sponsor a child for upcoming art classes. 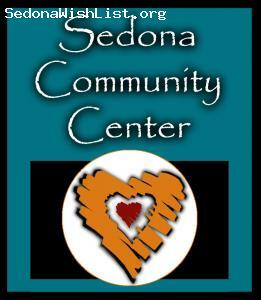 Thank you to the community of Sedona for supporting quality visual art lessons to the children of the Verde Valley. 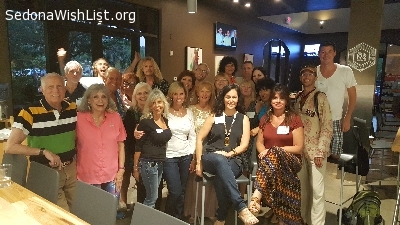 Thank you to everyone that attended the Sedona Film Festival's "Fixing the Future" event on Wednesday, July 18th! It is so inspiring to know that this community is very interested in the sustainability of Sedona and the Verde Valley. The in-depth discussions that followed echoed a desire to work together to come up with creative ideas that are a benefit for everyone! 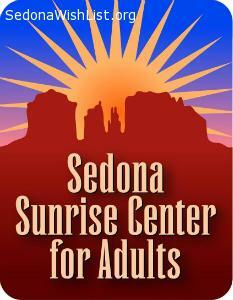 Thank you to those who were inspired to come to the Sedona TimeBank orientation afterward. We ARE fixing the future, together! THANK YOU. The very first day our wish was in the newspaper we had a call and have gotten our refrigerator. 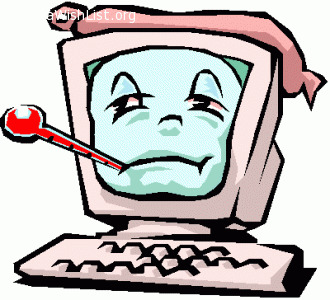 A big thank you to Judy and David Classen for donating a computer system. Golden Bone Rescue received two exercise pens and a donation for a doggie playpen with a raised floor. 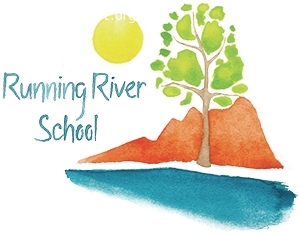 Thanks to the generosity of a local Sedona resident, we now have a sponsor for one of our local children whose family received a half scholarship from Art For Kids. 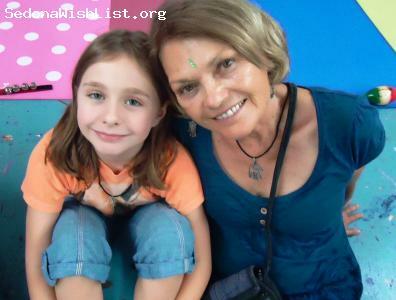 This sponsor paid for the other half of her tuition so she is all set to attend Animals in Art Summer Art Camp 2012! This wish was listed just last week and we are so thrilled to be able to let this single mother know that her daughter is taken care of. 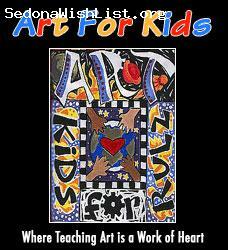 Art For Kids is a 501c3 nonprofit and donations are deductible! 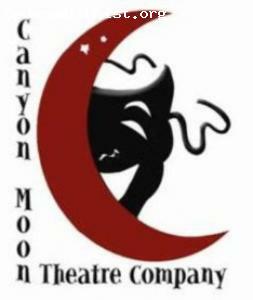 Sedona Arts Center fulfilled our wish for a beautiful studio space to hold the camp and offered scholarship funding to boot. The Heart Wisdom Conference donated funding for camp too. Lastly, the Sedona Giclee and Gallery and Zainey's Frozen Yogurt raised money too! WE WON! The council voted to begin construction on Barbara's Park. Our Thank you to all of you showed your support to the council and to the city. YOU made a difference. WE WON !! The council voted to begin construction on Barbara's Park! Look for activity within the next 60 days - I will do my best to keep you informed of up coming events like ground breaking! Our sincere thank you to all of you who sent your support to the council and to the city. YOU made a difference. 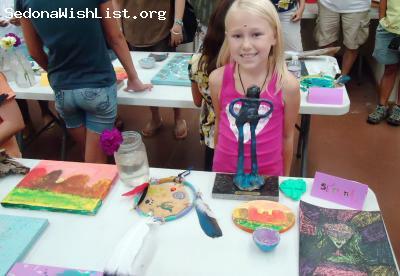 Wishes Fulfilled for 7 Sedona youngsters to attend Summer Art and Kids Yoga Camp 2011 at the Sedona Arts Center! Art For Kids has provided partial or full scholarships for 7 area youth to attend summer art camp due to the generous support by the City of Sedona, Sedona Arts Center and the Sedona Arts Festival. Check our website in two weeks from now to see all of the beauty we created together, or join us on Facebook to see our daily posts from camp! Wish fulfilled in less than a week! A color printer for Art For Kids! 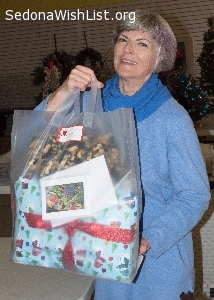 Thank you to Barbara Vickers for helping to facilitate the donation from Joyha! Thanks to Heart Wisdom for a donation that will help provide scholarships to this summer's art camp held at the Sedona Arts Center. Art For Kids really appreciates the support of our community while we are busy trying to support the community thru outreach and scholarship assistance programs. 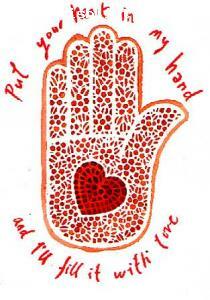 "Where teaching art is a work of heart! THANK YOU to the donor who fulfilled our wish for a ladder. We received a brand new 6ft ladder that we started using right away. 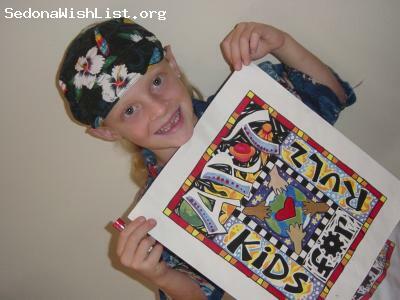 Art For Kids issues scholarships to families who cannot afford art classes and the requests for assistance are greater than ever in this economy. Thanks to the generosity of an anonymous donor, Art For Kids recieved some funding to help with scholarship assistance for the summer art camp titled, "Animals in Art." Due to the lack of grants available, this kind of assistance is more important than ever. 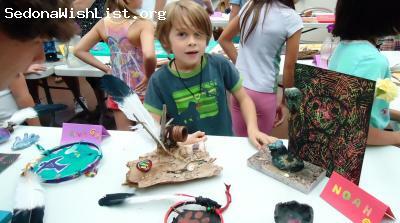 Art For Kids looks forward to helping its community be a more artful place to live! Golden Bone received a large supply of blankets and towels as requested. We have been able to use them with foster puppies, and dogs, and we donated some of the surplus to a dog hospice organization. 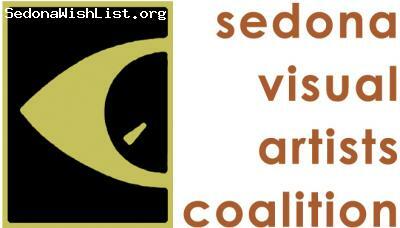 I would love to extend a great big thank you to Barbara Vickers for all she has done for SVAC's Art Mentor Program via her brainchild, the SedonaWishList. 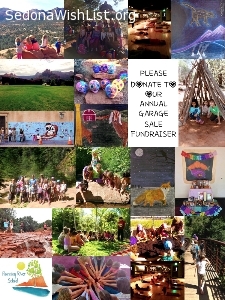 Besides receiving art materials and needed volunteers through her grapevine, the community is made aware of our existence in the greater Sedona area. All of us non-profits make up a smorgasbord of opportunities for citizens in the community to take part in. We are a generous lot. Many thanks to Barbara for bringing us all together.